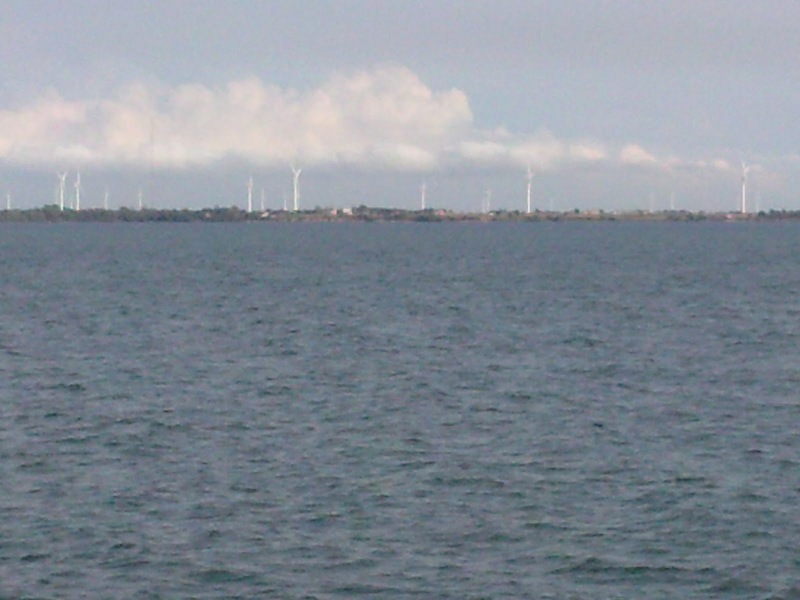 Haphazard thoughts of a godless gamer: Walk along the water today. 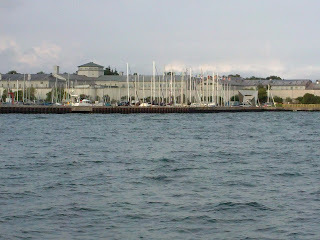 A few photos from my walk along the kingston water front. The new psychiatric hospital near the campus. 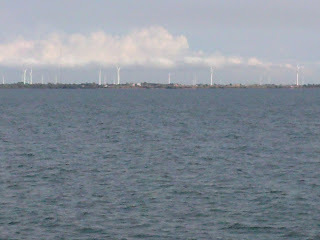 I can't remember the name of this island but its not far away and its covered in wind generators. 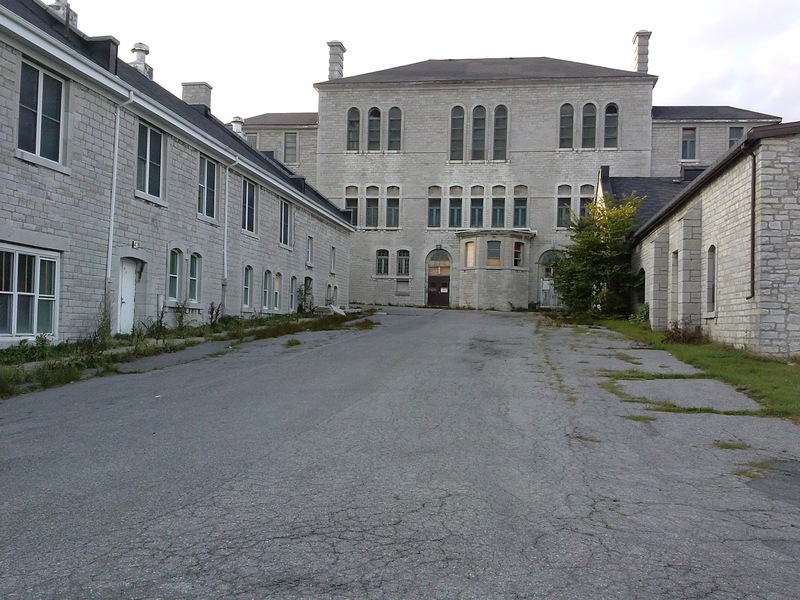 Photo of the old psychiatric hospital near the new one. 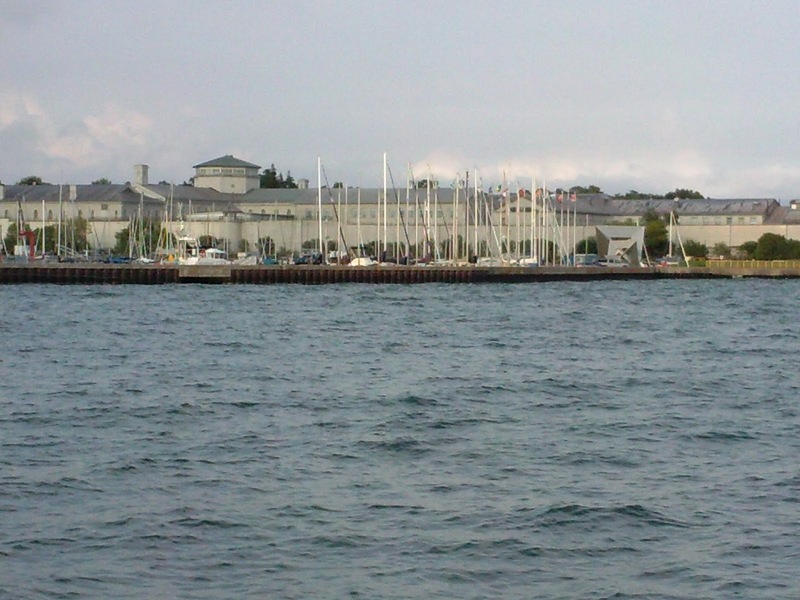 Kingston Penitentiary on the other side of the olympic marina. 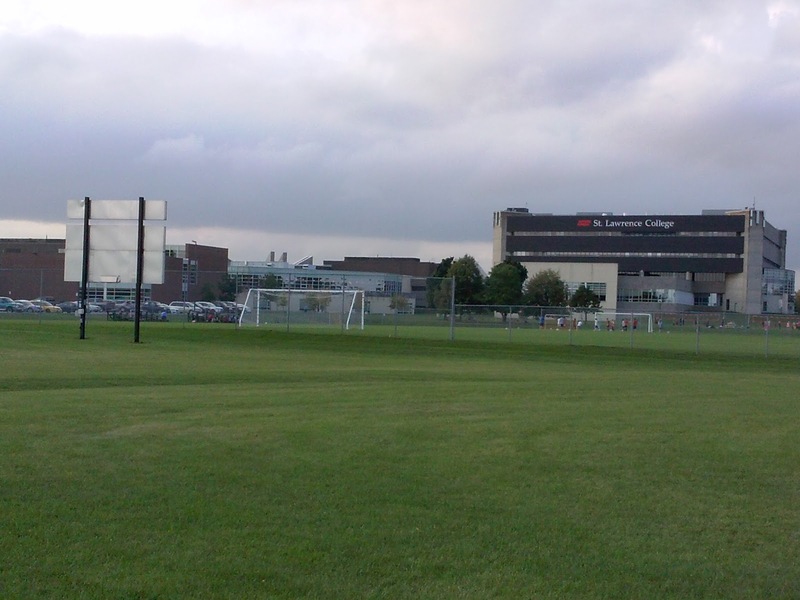 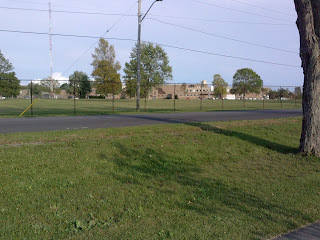 View of my college from across the athletics field on my ay back to the dorms.